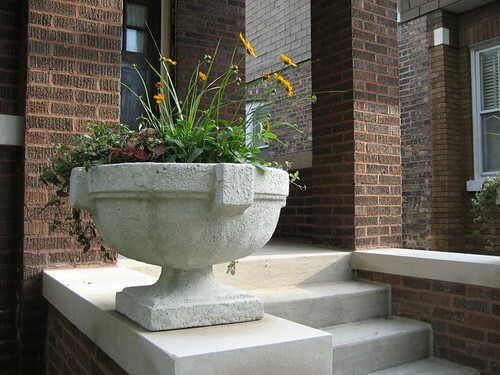 After we had the exterior limestone accents stripped last year, we couldn’t resist adding urns to the front stoop. Who knows if the house had them originally? Not us, and we don’t care either. We just love them.